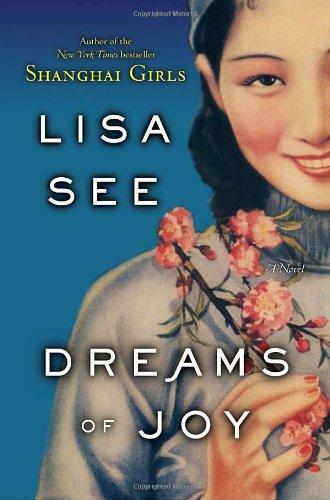 In her beloved New York Times bestsellers Snow Flower and the Secret Fan, Peony in Love, and, most recently, Shanghai Girls, Lisa See has brilliantly illuminated the potent bonds of mother love, romantic love, and love of country. Now, in her most powerful novel yet, she returns to these timeless themes, continuing the story of sisters Pearl and May from Shanghai Girls, and Pearl’s strong-willed nineteen-year-old daughter, Joy. Reeling from newly uncovered family secrets, and anger at her mother and aunt for keeping them from her, Joy runs away to Shanghai in early 1957 to find her birth father—the artist Z.G. Li, with whom both May and Pearl were once in love. Dazzled by him, and blinded by idealism and defiance, Joy throws herself into the New Society of Red China, heedless of the dangers in the communist regime. Joy is frequently described in terms of her Tiger astrological sign. In Dreams of Joy, where do you see her acting true to her Tiger nature? Where do you see her acting un-Tiger like? Many of us grew up believing that the People’s Republic of China was “closed,” and that it remained that way until President Nixon “opened” it. Certainly Pearl (and even Joy, to a great extent) go to China with preconceived ideas of what they’ll see and experience. In what ways are they right—or wrong? Does seeing the world through Joy’s eyes help you to understand Pearl? Similarly, does Pearl give insights into her daughter? The novel’s title, Dreams of Joy, has many meanings. What does the phrase mean to the different characters in the novel, to Lisa, to the reader? In many ways Dreams of Joy is a traditional coming-of-age novel for Joy. Lisa has said that she believes it’s also a coming of age novel for Pearl and May. Do you agree? If so, how do these three characters grow up? Do they find their happy endings? Although May plays a key role in Dreams of Joy, she is always off stage. How do you feel about this? Would you rather have May be an on-stage figure in this novel? Pearl has some pretty strong views about motherhood. At one point she asks, “What tactic do we, as mothers, use with our children when we know they’re going to make, or have already made, a terrible mistake? We accept blame.” Later, she observes, “Like all mothers, I needed to hide my sadness, anger, and grief.” Do you agree with her? Does her attitude about mothering change during the course of the novel? Joy’s initial perception of China is largely a projection of her youthful idealism. What are the key scenes that force her to adjust her beliefs and feelings in this regard? Describe the roles that Tao, Ta-ming, Kumei, and Yong play in Dreams of Joy. Why are they so important thematically to the novel? Food—or severe lack of it—are of critical importance in Dreams of Joy. How does food affect Joy’s growth as a person? Pearl’s? Let’s consider the men—whether present in the novel as living characters or not—for a moment. What influence do Sam, Z.G., Pearl’s father, Dun, and Tao have on the story? How do they show men at their best and worst? Are any of these characters completely good—or bad? Dreams of Joy is largely a novel about mothers and daughters, but it’s also about fathers and daughters. How do Joy’s feelings toward Sam and Z.G. change over the course of the novel? Does Pearl’s attitude towards her father change in any way? There are several moments in the novel when people have to choose the moral or ethical thing to do. Where are those places? What purpose do they play? And why do you think Lisa choose to write them? Z.G. quotes a 17th-century artist when he says, “Art is the heartbeat of the artist.” How has this idea influenced his life? What impact does this concept have on Joy? Ultimately, Dreams of Joy is about “mother love”—the love Pearl feels for Joy, Joy feels for her mother, Joy experiences with the birth of her daughter, and the on-going struggle between Pearl and May over who is Joy’s true mother. In what ways do secrets, disappointments, fear, and overwhelming love affect mother love in the story?